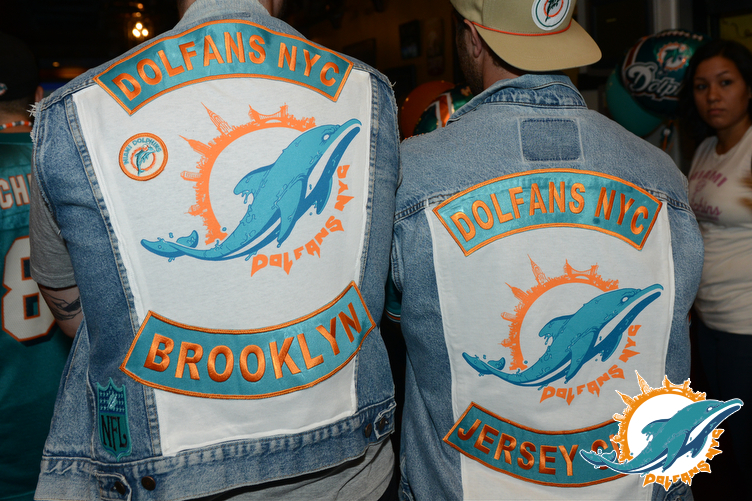 You might know that I am an insane Miami Dolphins fan and I run the NYC home for Miami Dolphins fans, DolfansNYC. We meet Miami Dolphins game and root on our team like crazy people. Sadly our bar, Third & Long closed it’s doors this off season and we were left without a home. Luckily we found Slattery’s Midtown Pub and they gave us a much bigger place to throw a party. 200+ people took over both floors of the bar and we even had some spillover at the bar next door. 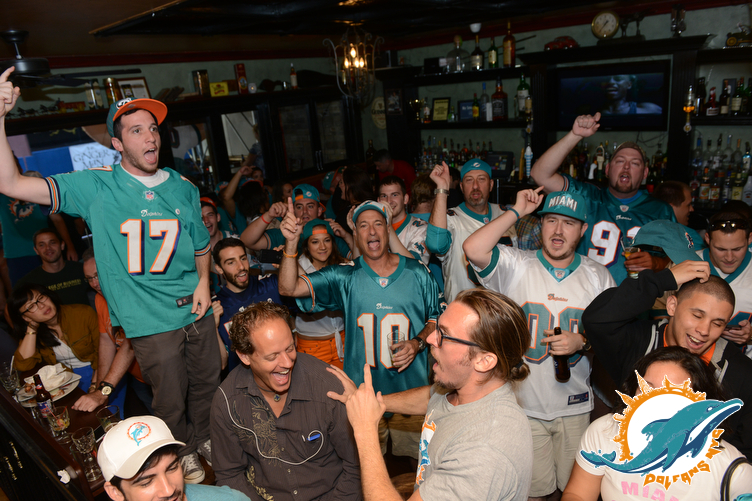 It was pretty amazing and everyone lost their mind and the Dolphins won. The bar gave us free shots. It was the best. It’s weird to think the most successful parties I’ve ever thrown are Miami Dolphins viewing parties. I took a bunch of photos and you are about to get to see them. But first, a quick apology. Sorry to post photos of Miami Dolphins fans. I of course won’t do it every week, but I like to get my Dolfans NYC crew a little love now and then… Now on to the pictures. 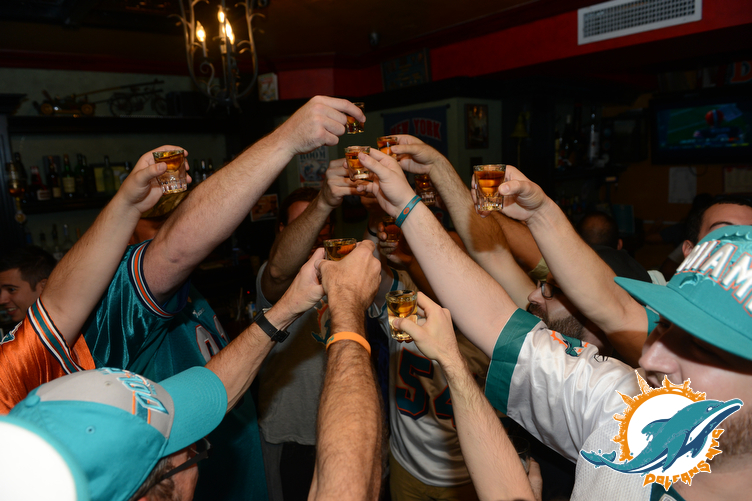 Click here if for some reason you want to see all the photos of a ton of Miami Dolphins fans at Slattery’s Midtown Pub.